Most of the big companies celebrated (and will celebrate) their 100th anniversary. 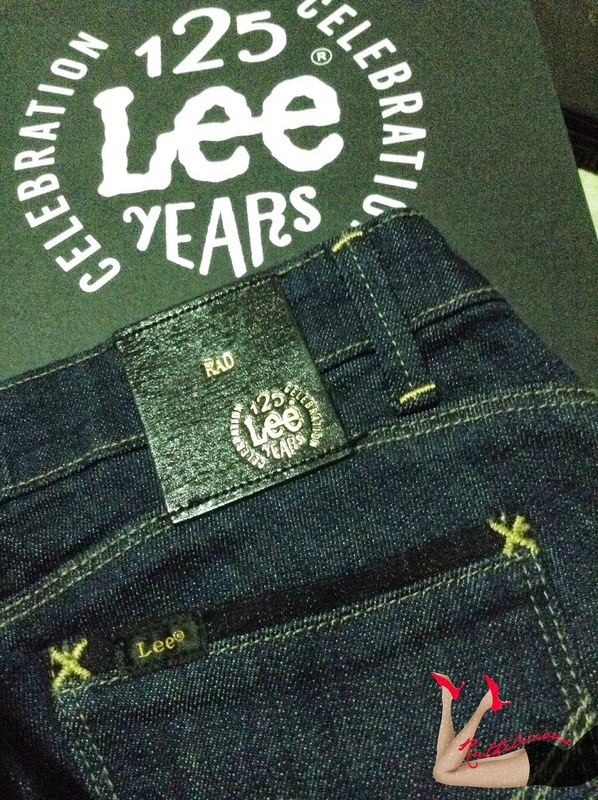 It was a surprise for me to know that Lee Jeans is celebrating its 125 years of denim mastery and purposeful design! To celebrate Lee's 125 years, an Archive Tour is set-up to serve as a museum of fashion firsts, to show denim die-hards where the current jean innovations started from. The mobile museum was initially constructed in Glorietta, and is now set-up in Robinson's Place, Manila (from May 23 to 25). It will soon be showcased in SM Mall of Asia. I was there yesterday to check out the cool collection, and I even got a chance to witness (and make) my own Lee jeans design. Please, please, keep on reading :) You also have to see the awesome styling from Male Fashion Blogger, David Guison and Lee Style Army Alum Tin Iglesias. 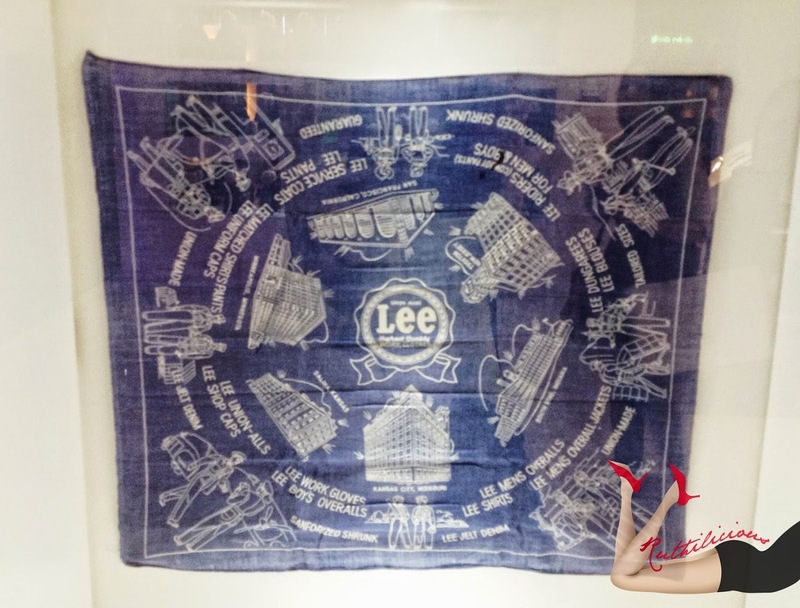 The focus of the tour is the main display area - 27 historic Lee items collected from different parts of the world representing historic timeline of Lee Jean's purposeful design. A woman's Union-All from 1918 is the most vintage in the archive and clearly represents the infusion of functionality. It has become the uniform for the ladies during the World War who were working on the positions left vacant by the men who left army. 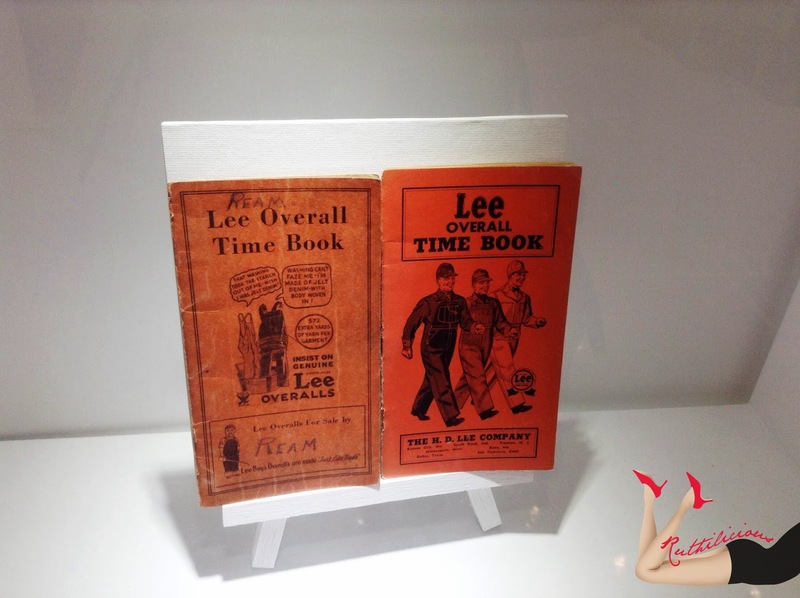 The guided tour was explained by Jean Svadlenak, the historian of Lee Jeans who travels with the items and is based in Lee headquarters in Kansas, USA. The Lee Archive historical fashion chronology: starts with Work Wear (mechanics 1910 to 1911), Western Wear (cowboys 1920 to 1929) and Leisure Wear (casual fashion 1950 to 1959). The final act of the event was the fashion show. I always love denims! Jeans, dresses, shorts and even overalls (and jumpers!). The show was such a treat as it featured Lee's apparels styled by David Guison and Tin Iglesias. I love how fun, comfy and "wearable" the ensembles were! Great job David and Tin! (amazing these two kids!). 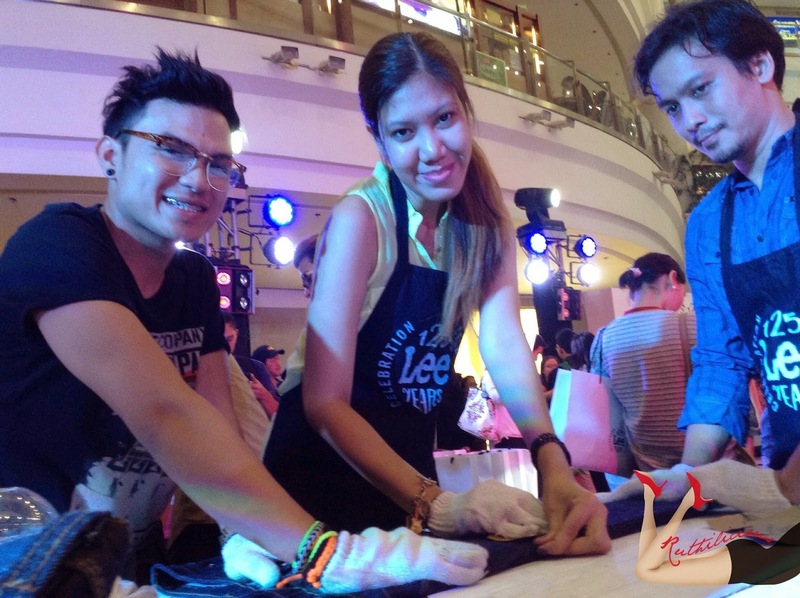 Imagine their work is now part of Lee Jeans as it shapes the fashion history on its 125th year. Just amazing. I Made My Own Lee Jeans! Yes, I did! Not really starting from scratch (as in from cutting the cloth!) but more of adding a little touch of my creativity to my new pair of Lee Jeans. They say that the jeans you wear is your denim fingerprint. The crease, the scrapes, fade and burns all tell a story of the life we live. Lee allowed us to be a little more creative with our new pair. We started off with (supposedly), the Dry Process.. but we skipped that because there were too many people distressing their pants. Plus, the sight of distressing grinders made me uncomfortable. When I said that you can personalize your jeans, I meant, adding initials, or name in your leather patch! The limit of 3 characters was a sad news for me. Took me a hard time to finally settled with RAD which is my initials. We skipped the Iron-On step (where you can add glitter studs at the back pockets). There were also embroidered patches and embellishing sections. Someone from Lee Jeans assisted us and worked with the craftsmen (I forgot to get her name, but thank you so much for being so accommodating! You let us enjoy the rest of the event!) 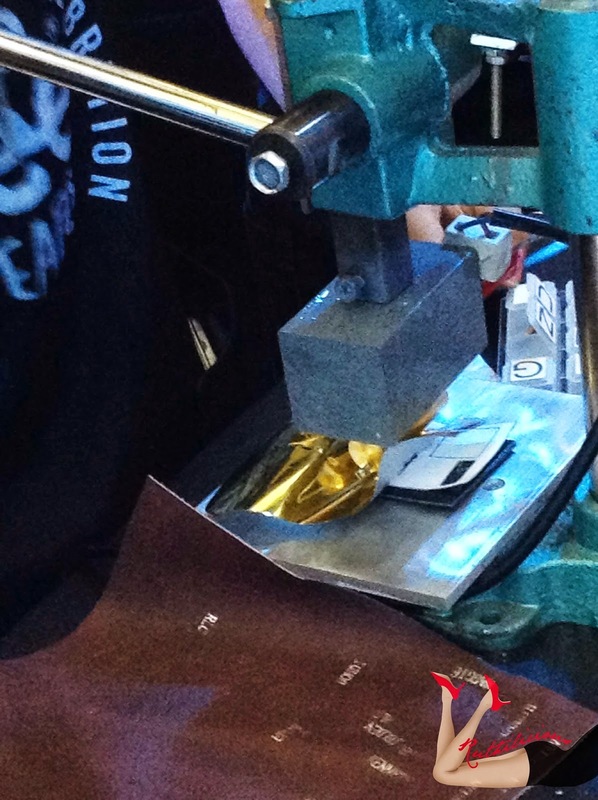 Our last stop was at the Surface Finish table where we did a little whiskering process to give our jeans some worn-in feel. 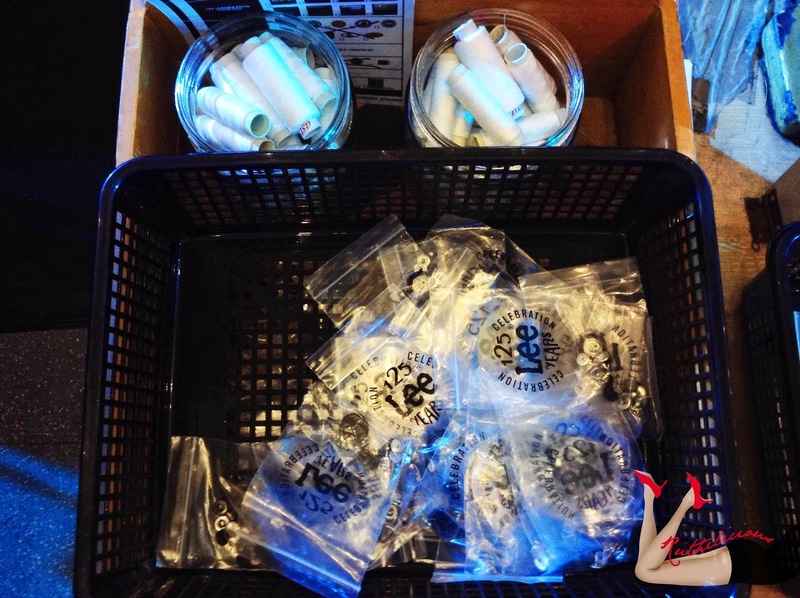 The craftsmen of Lee Jeans are very awesome and fun people. I asked them if they are all working for Lee and what kind of work they do (as they seem very expert at distressing, scraping, and whiskering). Yes, they do work for Lee Jeans as designers. They create new styles and designs for the jeans. I also found out that all jeans are handcrafted as such. 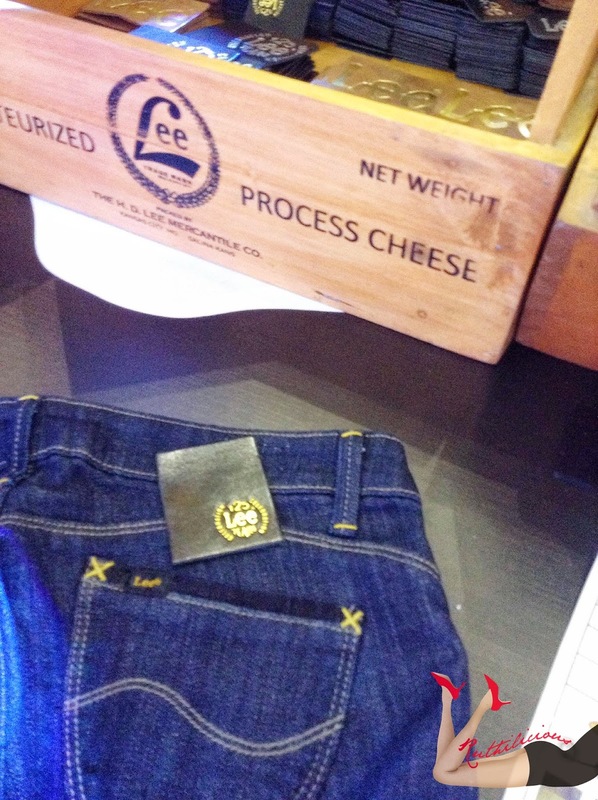 The things that we have seen in the event, are the same process used to produce a Lee Jeans! Imagine how much time, love and passion are dedicated to come up with one pair. In the same sense, I am very happy with my new pair! Thank you so much Lee Jeans and to your wonderful staff! I was a bit hesitant to go to the event, but I am so glad I did. I didn't know my friend Kath would be there (so happy! I knew it was her when I saw her name in the registration), and it was awesome to be with a different blogger group this time around. It is refreshing. Krissy attended as blogger (not a PR! yay), and Anagon was there to support her friends (aaww.. sweetest!). And now I understand why my friend adores David. He is cool (and talented) and fun too. Plus, the Lee Jeans craftsmen are really awesome and helpful. I cannot imagine how many pairs of jeans they did today, but they stayed cool and proud at what they are doing (love the passion there!). I love it when I learn new things from the events I attended. ;) True to Lee's tagline, stay curious! Don't forget to catch the Lee 125th Anniversary Archive Tour in Manila, rolling until March 30th and culminating in the SM MOA for the Philippine Fashion Week Holiday 2014. Do swing by the exhibit at Robinson's Place Manila Midtown Wing (until May 25th), and get a chance to personalize your very own Limited Edition Lee 125th Anniversary Jeans. 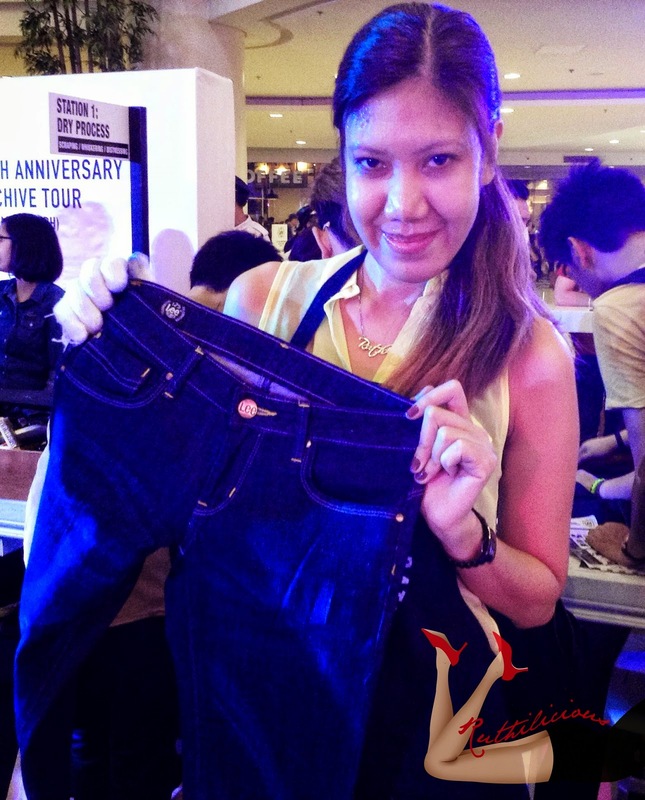 125 customers will get a chance to purchase these commemorative jeans for Php125 (originally at Php1,250). 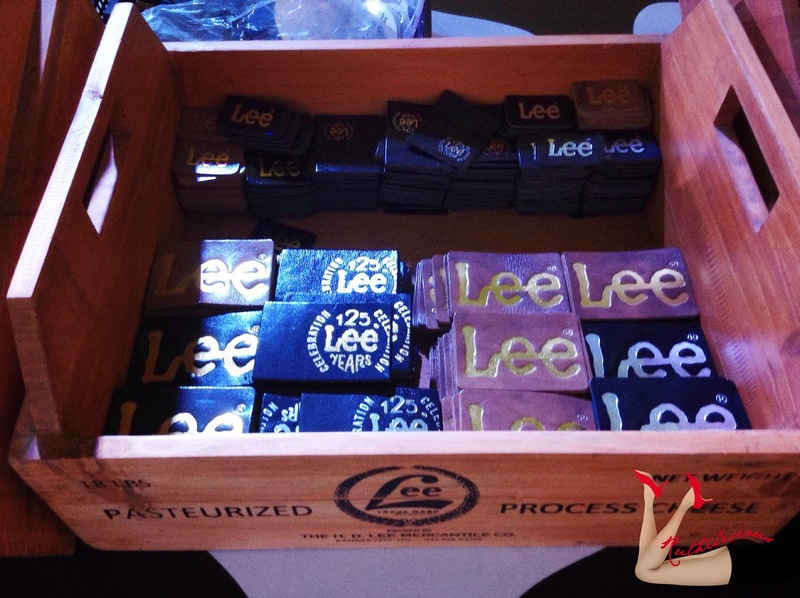 Does your Lee Jeans has a story to tell too?